Upon popular request Review Home Warranties is proud to present its “Vis a vis” section. This is where we take popular companies and match them against each other. The idea is not to give our readers definite answer on which company is better and which company is worse, but rather to highlight the similarities and differences between companies. 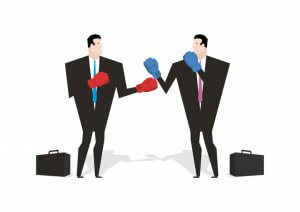 The concept of comparing companies, although operating in the same field, is tricky. A “home warranty” is a general name that many companies interpret in different ways. Some companies offer multiple plans, and some have a single plan. Some companies focus their coverage on home appliances, some on home systems, and some even offer outdoor systems. It is also incredible difficult to compare the costs because they are proportional to the level of coverage you are getting (which items are covered), the limits (how much money will you get to replace a certain item), in which state you live, how new is your house and the appliances within it, and a lot more. In addition to that, you have to remember the concept of deductibles that make a substantial difference in the costs. Another component of home warranties is reviews. Our editorial reviews have aggregated a lot of client reviews from across the internet, but sometimes the numbers don’t tell the entire story. Besides that, about 70-80% of all reviews you read online about home warranties are highly negative. So you have to separate the chaff from the wheat and be able to look into the actual reasons in which people complained about. Another thing that can help you understand more about the company you are dealing with is some background – who owns it, how big is it, how long has it been operating, etc. Does it say indicate that new companies like Pride or Endurance are any less good? of course not, it only means they haven’t been put to the test just yet. The largest company in the home warranty industry being put head to head with the company that has scored the best score to date by our editors. The industry veteran from 1979 is compared to the industry giant. Which company provides the better protection and what are the differences between them? Two very similar companies are put into the test, both are owned by large conglomerates and employees thousands of people in the USA.